As of this writing, Walgreens had a very slim selection of notebooks out. Their typical boutique versions were not yet available, so I might update this post with additional brands. This isn’t a showstopper. It is standard in every feature, from cover to marbling to stitching. 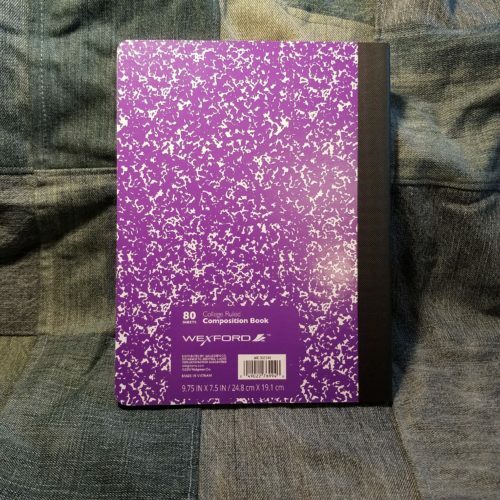 The cover is thicker than the new average and you can write in hand with the notebook folded over upon itself. They do not offer fashion covers in this brand, just standard colors with marbling. 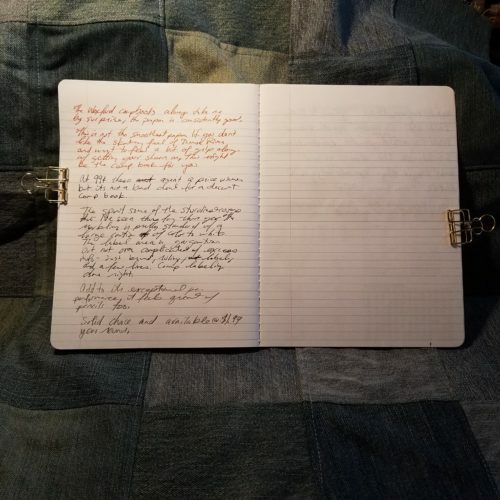 The pale blue ruling is standard and fades into the background of all writing tools. All writing tools faired well upon its surface. In fact, it was one of the smoother papers available. 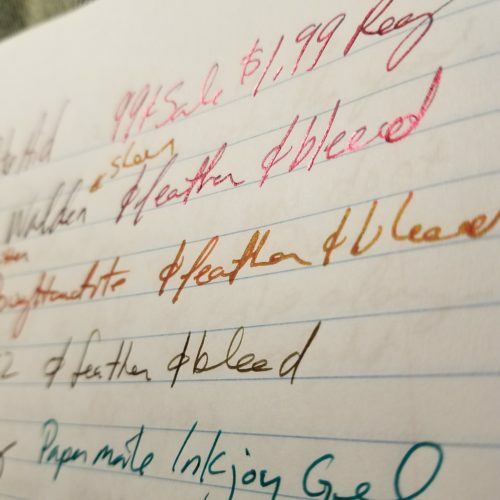 All my fountain pens felt lovely on its surface. They didn’t quite skate but did feel lovely. Which is great because the paper handled all liquid ink with ease. Inks with sheen have loads of sheen visible and glittery inks glitter. 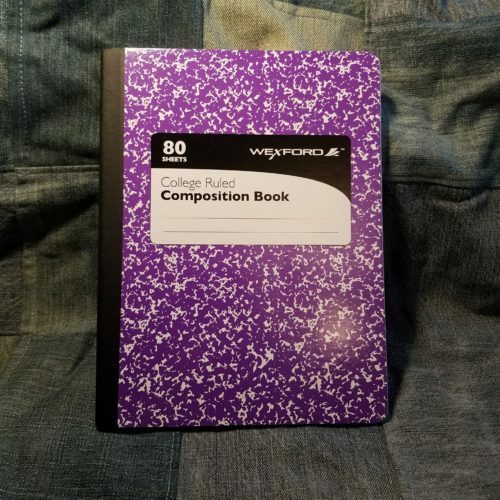 This is a great book if you can’t find other composition notebooks in your area. At 99 cents on sale, it’s not winning the price competition but the paper is lovely. 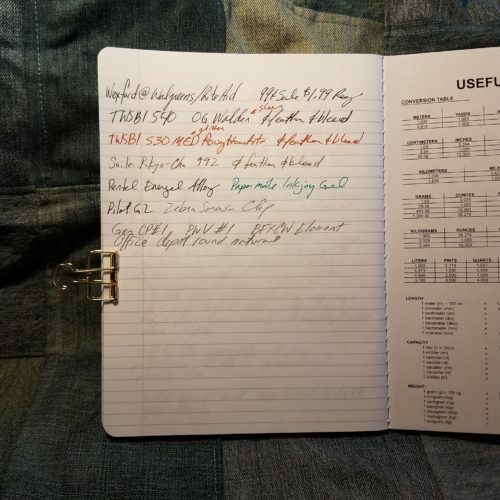 This entry was posted in Review and tagged comp book, composition notebooks, rite aid, walgreens on 20180816 by leslie.